Southwest is the last of the promised eight libraries to open in Fulton County as a part of the Library Facility Master Plan proposed by the Library Board of Trustees and approved by voters in 2008. Costing close to $167 million to complete, the plan also calls for the renovation of the Auburn Avenue Research Library in African American Studies and a 10,000 sq. 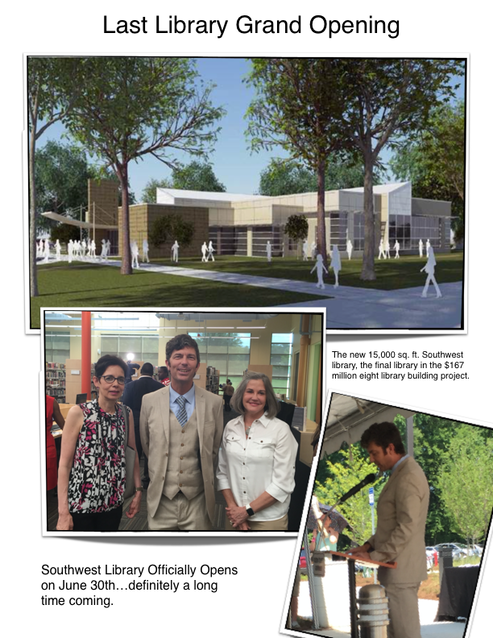 ft. addition to the South Fulton Library, with costs overruns of $10 million or more on the latter branch.